1. Great chance to join the traditional spiritual practice of Buddhism. 2. Popular experience among foreigners who want to relax their mind and body. 3. This is a healing temple stay place open to anyone. 4. Unique and special travel program that you can experience in Korea. Children under 7 must be accompanied by a guardian. Age of 13 and over can participate alone. Children under 13 must be accompanied by a guardian. International Seon Center Templestay is a temple stay experience for both foreigners and the locals to perform traditional Korean Buddhism and to take a rest. Since the temple is located in the middle of Seoul, it is recommended to those felt pressured to travel far to experience the Korean Buddhism. Besides the spiritual practice, there are various fun and fruitful programs you can enjoy. Monks will guide you into the deep mind traveling in English, so make a reservation right away! 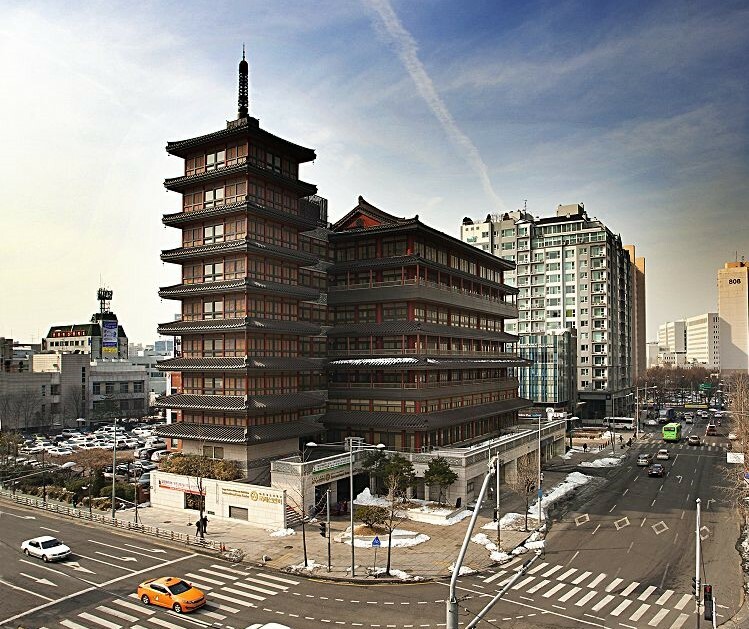 Jogye Order of Korean Buddhism International Seon Center was established for the globalization of Korean Buddhism and traditional culture. You can learn and experience traditional Buddhist practices through temple stay in the middle of the city. The center runs various programs, so you can enjoy a variety of Buddhist practices. Exploring a deeper self, Templestay is a traditional cultural experience program that you can look through the past life in a temple, where the history and culture of Korean Buddhism breathe more than 1,7000 years. You can find true oneself at the temple, where you can find a story of simple culture and wisdom earned from a piece of rice and a drop of water. Regardless of age or gender, you can find out the true beauty of Korean and yourself. Great temple stay option for beginners who are interested in meditation but don't know how to start! If you want to have a deeper practice, join and have a long healing trip. • Take a time to understand Korean Buddhism and its culture, learn Buddhist etiquette, and talk about Buddhist murals. • From Saturday to Sunday, this is 2 days 1 night program. ※ Schedule may change under the temple's circumstances. Through Daily Templestay, you can explore a deeper self and live happily through the "mind rest" meditation cooling down the stress and bring up the passion again. • Experience Korean Buddism culture and traditional culture for a short period, 3 ~ 4 hours, on a day. 1. Input information on must-fill out form and purchase the desired option. 3. Please go to Front Lobby 10 minutes before the reservation time on the day of reservation. 4. Wait until the staff comes to pick you up. 1. Please keep the temple's rules and regulations for the program. 2. Please keep silence during your stay. 3. Please be punctual for each program schedule. 4. Please dress neatly and avoid revealing clothes. 5. Children under the age of 8 must be accompanied by a guardian. Q. Is there any smoking places? A. No. Smoking and Drinking are prohibited in International Seon Center. Q. Can I bring some outside food? A. Outside food is not allowed. Q. Can I go out? A. International Seon Center building blocks the coming in and out from 20:00 to 04:00am.